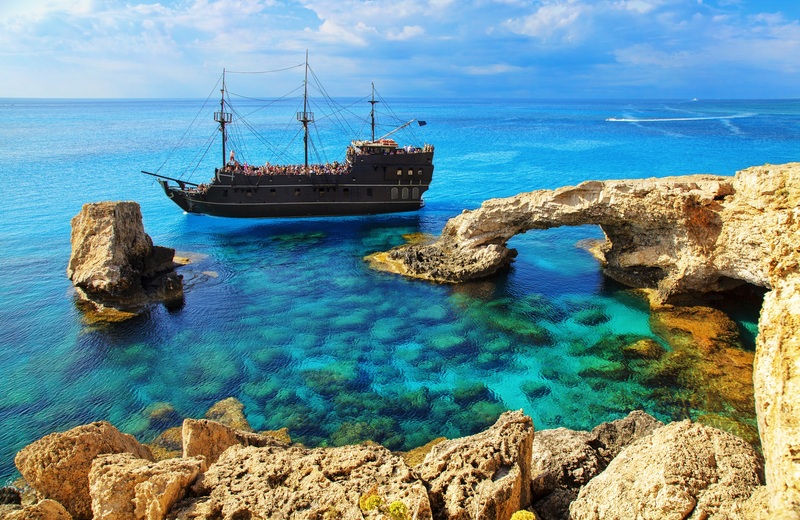 The rocky promontory on the south-eastern coast of Cyprus, east of Agia Napa and south east of Protaras, is an area of unspoiled natural beauty that has been declared a National Forest Park and conservation area and covers an area of 385 hectares. Hike along the network of nature trails lined with miniature pine trees and juniper stopping to admire spectacular views from sea cliffs overlooking turquoise seas. Benches along the way provide the opportunity to rest and gaze down into crystal clear waters. One of these trails forms part of the European Long Distance Trail E4, running from Gibraltar to Cyprus. The 2 kilometers Aphrodite nature trail which goes along the north east coast of the Cape GKreco promontory is part of the Aphrodite Cultural Route and commemorates the link with the goddess. 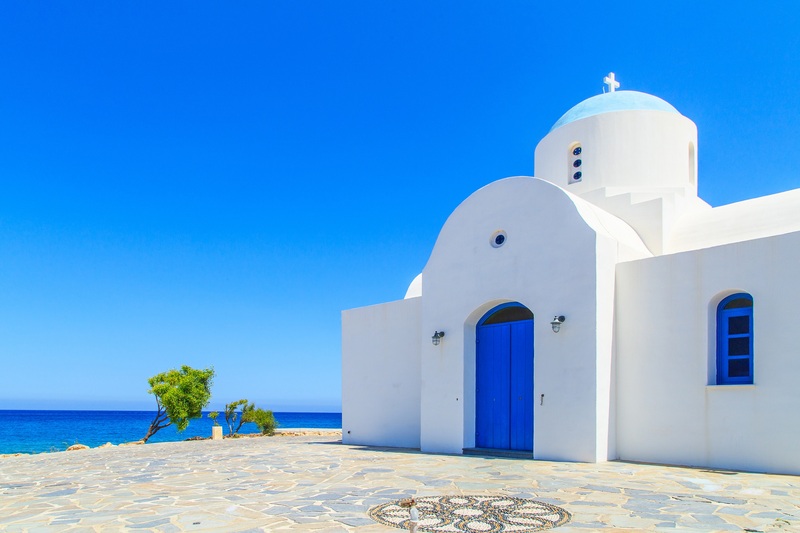 Do not miss the small white washed church of Agii Anargyri with steps down to the sea where the Holy Water exists, or take one of the trails leading to theso-called Cyclops’ cave stopping at the nearby picnic site for a pleasant rest. Specialist cycling paths also exist in the area both for lovers of this sport and as a means to explore. The island has perfect weather for cycling, especially in the winter months, what with low annual rainfall and few of the headwinds that are a bane to cyclists. Take a boat trip along the coast anchoring near these a caves that nature has carved out of the ten-metre limestone cliffs and adorned in such a way as to merit the name the Palaces. 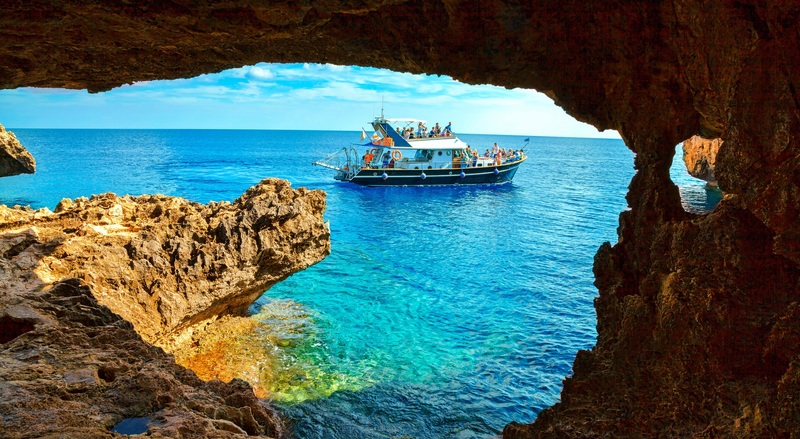 The Cape Greco area is popular with divers, thanks to warm sea temperatures ranging from 16ºC in winter to 28ºC in summer and with a visibility reaching 30 to 40 meters. The fauna of the waters of Cape Greco hide many interesting sea creatures. Plant very typical, with white flowers, which come on top of a glaucous-green stem. They have six narrow tape-like petals and a dazzling white "parastefani", on which grow the six stamens. The flowers grow through a membranous "saber". The bulb is large, with a diameter of 5.10 3k., And at the bottom of a thick, fleshy roots. Flowering: from mid July to early October. The leaves resemble long glaucous movies and go out after flowering, to maintain as next summer. Habitat: sand dunes to sandy beaches Spreading Region: all sandy beaches of the Aegean. 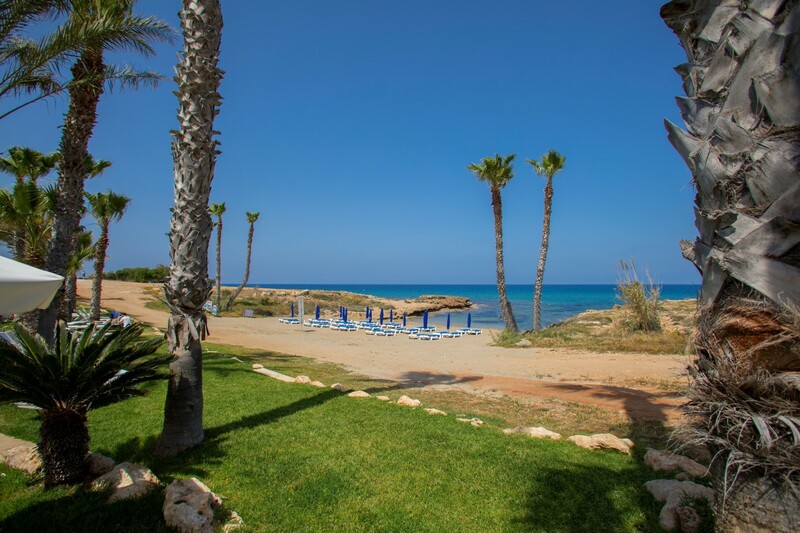 Can be found in all beaches but especially near the hotel in Kalamies beach only 100m and in Fig tree bay, 3.8km Note: species threatened with extinction because of tourist development of the coastline and leveling of the dunes. Thanks in large fleshy bulbs that since last spring have hoarding and well kept inside their valuable substances necessary for the development of the flowering stems and flower. Do not cut flowers of these beautiful plants when it is in the nature and do not uproot the bulbs, because it will drive to extinction. Admire them, shoot them and leave them in place. In places silky serenity emerges silently, crowned with white flowers loneliness! 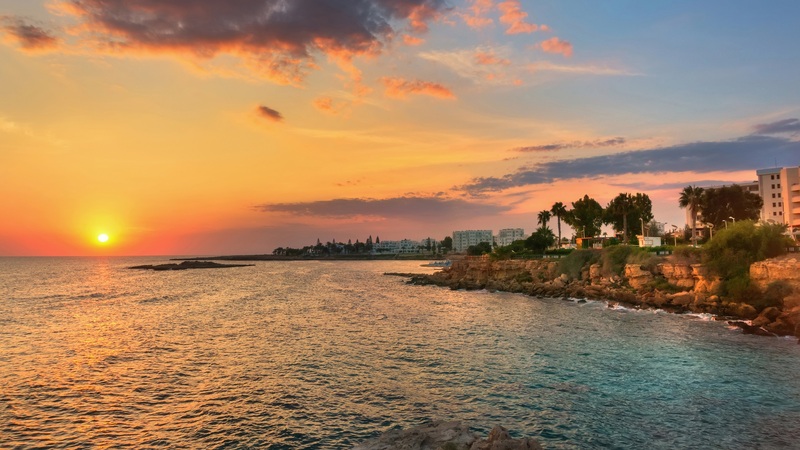 Paralimni lake is a seasonal, slightly brackish lake, enclosed in a triangle formed by the villages of Paralimni, Dherynia and Sotira. The main sources of water inflows for the lake, are recipitation and urban runoff from the nearby villages. In the past decades, due to the inexistence of proper management for the lake, the usual practice for water inflows was their direct removal by canals that led water to a main outsource, artificial canal. As a consequence, the lake was dry most of the year and trespassing was becoming more of a threat for the ecosystem integrity. The habitats, and especially aquatic habitats were severely threatened by complete drainage and the lake was gradually transforming to a semi-arid land. In 2009 Paralimni lake was included in the NATURA 2000 network as an area of Special Community interest (SCI) under Habitats Directive 92/43/EEC and also as a Special Protection Area (SPA) under the Birds Directive 79/409/EEC. This was mainly due to the threats opposed for the endemic Cyprus Grass snake Natrix Natrix Cypriaca (and it’s habitat), of which the most abundant and important population was recorded in Paralimni lake, but also for the numerous migrating and nesting birds listed on Annex I of Council Directive 79/409/EEC, such as Vanellus spinosus. 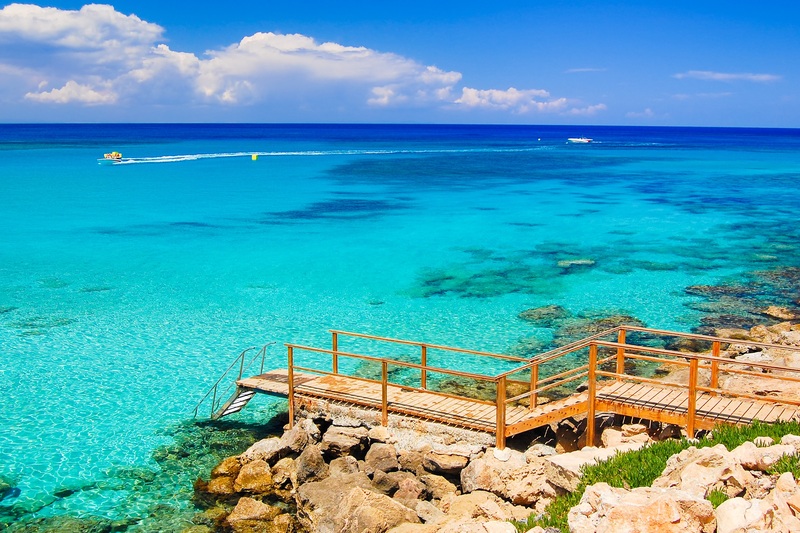 Moreover, Paralimni lake is one of the few natural lakes that can be found in the island of Cyprus.